Actually, it is easy being green! 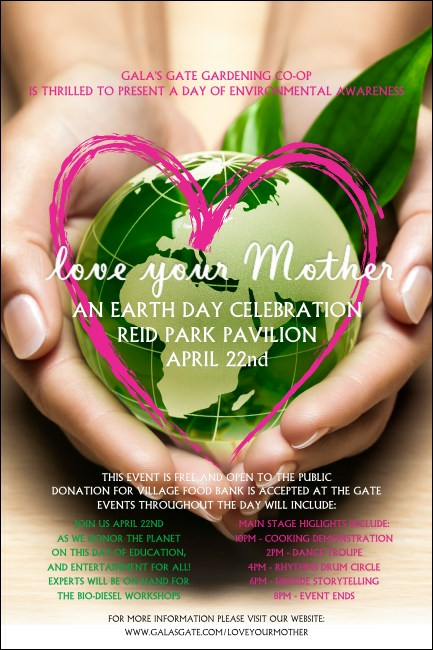 Organize your upcoming event with the Earth Day Heart Poster, a beautiful, environmentally sensitive image printed using 100% green wind power. We'll even use carbon neutral shipping to send it to you, so you can share the details of your celebration and spread a message of conservation. Fill in the template below and we'll ship them your way! Make some noise this spring with TicketPrinting.com.